Some may consider the Geto Boys the N.W.A. of the South (including yours truly), especially when you take into consideration how well they displayed their lyrical assaults (often controversial and ahead of its time) over top notch, Southern style production, and it didn't stop there. They also had a gift in discussing social and political topics of the day, and they did it in a form that you just had to listen closely to everything they said. 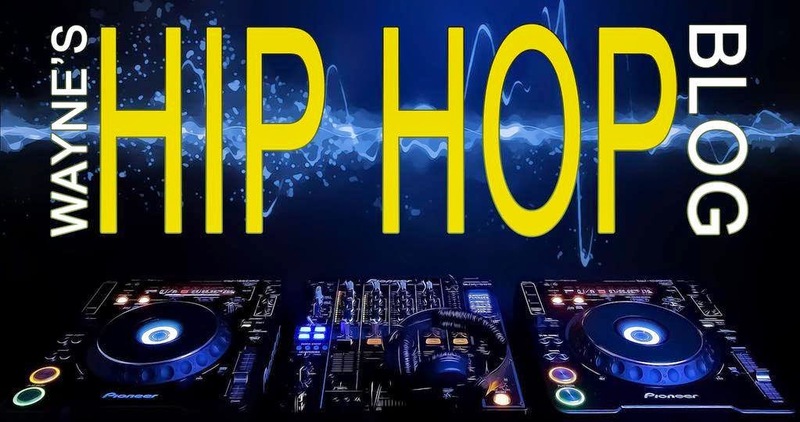 Although there were a few changes in the group lineup over the years (which will be discussed later), the most memorable consisted of the legendary Scarface, the rough and rugged Willie D, and the twisted but direct Bushwick Bill. They certainly paved the way for other Southern groups to follow and they left a mark that's still felt today. Take a look at this cover. 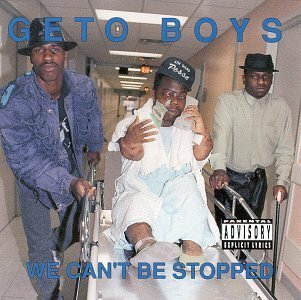 Does this look like it could've been the Geto Boys' DEBUT? I don't think so either, but the interesting thing is, I owned this album at one time on cassette. You'll also notice that this initial lineup didn't include Scarface or Willie D, but rather it consisted of Bushwick Bill, DJ Ready Red, Sire Jukebox, and Prince Johnny C. I played it a couple of times, but I was clearly not impressed. This debut more or less sounds like low rent, thugged out version of Run DMC (complete with the Godfather styled hats and gold chains) and the ONLY noteworthy track on this album is "Balls and My Word", which consisted of soundbytes from the classic gangster movie "Scarface" backed with a funky beat, which would later appear on Scarface's album of the same title. Overall, completely forgettable. Now THIS is what I'm talking about, and I consider this their debut. 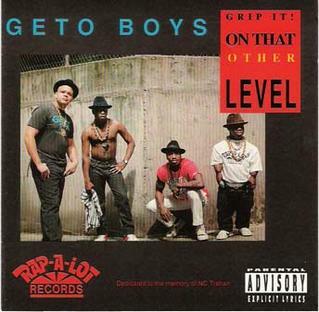 One of the best albums of 1989 and definitely the proper introduction to the Geto Boys, in which this time around Scarface (who was then known as Akshen) and Willie D were added to the group (DJ Ready Red and Bushwick Bill remained). This was about as gangsta as they come and it's a classic in every sense of the word. This also marked what would later come in the form of one Scarface. 5 favorite songs- Mind of a Lunatic, Talkin Loud Ain't Saying Nothin, Seek And Destroy, Scarface, and Do It Like A G.O. I don't own this one, as it's basically a revamped version of 11 tracks from the previous album (and a couple from "Making Trouble). Still very good though. Man, this album cover still sends chills to this day. It was indeed controversial at the time of its release, and you would NEVER see a cover like this today. 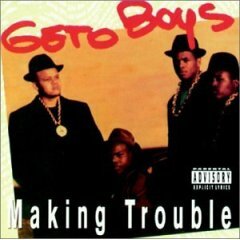 This is by far my favorite Geto Boys album, and this is album I feel defines their sound, especially in the 90s. It features their most popular and successful hit, the classic "My Mind Playing Tricks on Me". Their storytelling and tackling of subjects were VERY good here, with such memorable tracks like "Chuckie", a bone chilling solo cut by Bushwick, "F*** A War", another Bushwick solo, this time going in detail with sharp criticism of then president George Bush and this country's war practices, and "Trophy", Willie D's scathing track which highlights his frustration with the group's (and to a certain extent hip hop itself) lack of attention from music award shows. In addition, you get more great material, Scarface's "Another N***** In The Morgue" (it's clear this guy was something special), and the apply titled "Ain't With Bein Broke", "Homie Don't Play Dat", and the "Ladies First" response "I'm Not a Gentleman" (now when I think about it, Willie D was at his best on this album). Excellent all around and it still holds up to this day. Rating- I initially gave this 5 stars, and that rating may still stand today. 1993 saw changes in the Geto Boys lineup, as fellow Rap-A-Lot Records member Big Mike replaced Willie D, who temporarily left the group to pursue a (largely unsuccessful) solo career. In many ways, this album picks up where "We Can' Be Stopped" left off, and it's just as good as that album, if not better. Big Mike more than carries his end of things, as he's outstanding on this release (much like Scarface) and Bushwick was still as controversial as they come (his solo cut "Murder Avenue" is still one of the most disturbing tracks I've ever heard). Long time Rap-A-Lot producers N.O. Joe, John Bido, and Mike Dean provide some fine production, and the three aforementioned artists bring it lyrically. "G.E.T.O." is one of the hardest openers I've ever heard, "Crooked Officer" expertly breaks down the lack of respectable police forces in the U.S. at the time, as well as other tight tracks like "Raise Up", "Six Feet Deep", "No Nuts, No Glory", just to name a few. 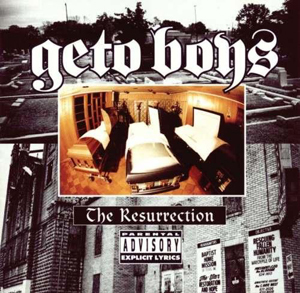 This may be the most underrated album in the Geto Boys' discography. It still holds up today. This came three years after the release of "Till Death Do Us Part", and original member Willie D returned. I recall really anticipating this album prior to its release in 1996, thanks to constant promotion in The Source Magazine and the single "The World Is a Ghetto". Two years after his seminal third album "The Diary", Scarface at this point was largely considered the group's best member, and he basically steals the show on each song he's on with this album. It was a damn good return to hip hop, and it's probably their last great album together as a group. I never had the chance to check this album out, and based on the feedback I've heard and read, it's largely mixed to say the least. Bushwick left the group (for the first time), as he had plans for a solo career, and honestly, outside of Scarface and to a certain extent Big Mike, Bushwick and Willie D never enjoyed the same level of solo success. By looking at the tracklist, this album features more guest appearances than any other Geto Boys album, which may be a factor in itself. I may get around to checking this out, but it's not on my immediate radar at this point. 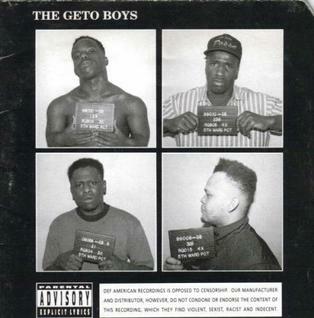 Although it wasn't hyped as such, this is basically the last Geto Boys album, and I recall a few years back reading an interview where Face said that after this album, there wouldn't be another Geto Boys album ever. Be that as it may, this is a very good album. May have to revisit it. Some of the highlights on this album are "Declaration of War", "Yes, Yes, Y'all", "When It Gets Gangsta", and "G-Code". The Geto Boys definitely made their mark, influencing a wave of Southern artists to follow. I don't ever see another group coming along with such aggression (and controversy), but make no mistake about it, their career is Hall Of Fame worthy if you ask me.